National hairball awareness day is an important day that does exist! This day is observed annually as a Pet Health Awareness event of the American Veterinary Medical Association. It is celebrated by becoming educated about hairballs and evaluating the health of your cat. A hairball is essentially a wad of hair that accumulates in the digestive system of animals that groom themselves. The barbs on cats tongues are rough that they naturally ingest some hair every time they groom themselves. Although other animals, including rabbits, cattle and even llamas can get hairballs. When do we need to worry about hairballs? When a hairball is too large to pass through the stomach, into the intestines, and out into the litter box, it will linger and irritate the stomach lining. With enough irritation, the animal will then regurgitate it, along with anything else in the stomach at that time. If they become large enough though, your cat may have difficulty eliminating them, and they can cause an obstruction that requires surgery to remove them. Monitoring your cat for any signs related to hairballs is important. If they happen more than a few times a year, of increasing frequency or if your cat is gagging, hacking, and coughing then you must seek veterinary help. Watch for any signs of decreased appetite, lethargy, diarrhea or constipation – any of which may indicate there is an underlying medical condition. Besides routine grooming, hairballs will also occur when any condition causes a pet to chew or lick themselves excessively. Environmental or food allergies, skin infections, parasites, or stressful situations can all be triggers. 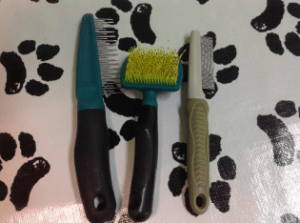 How do we prevent or treat hairballs? Before starting any treatment, please discuss your cat’s symptoms with one of our veterinarians. They can help you decide which product/diet/medication is best for your cat. We do recommend frequent brushing and grooming, especially if your cat is long – haired. 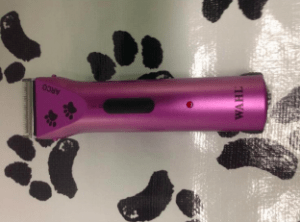 It will help eliminate as much of the loose hair as possible before your cat can ingest it. We may recommend a food that will improve your cat’s skin and coat and reduce the amount of shedding while also adding fiber to their diets. 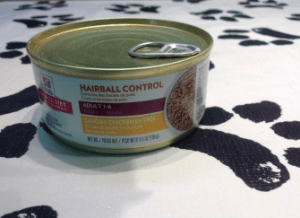 One such diet is Science Diet hairball control canned food. We will recommend increasing your cat’s water intake to help the hair pass through. It can be done by increasing the number of water bowls around your house or perhaps introducing a water fountain. We also recommend increasing your cat’s exercise to keep their digestive system moving. Add in some extra play time to prevent your cat from becoming bored. Perhaps add a second cat. 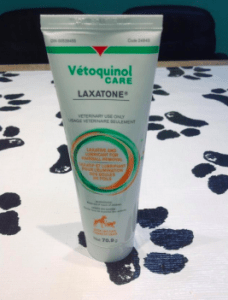 We offer a petroleum-based product called laxatone which acts as a lubricant to help hairballs leave the stomach and move through the intestines. 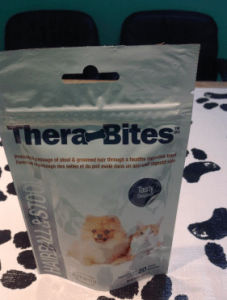 We offer a treat called Thera – Bites Hairball and stool, which also promotes the passage of hair. 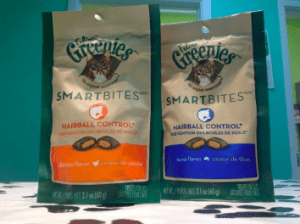 We also offer feline Greenies Smart Bites Hairball control treats. 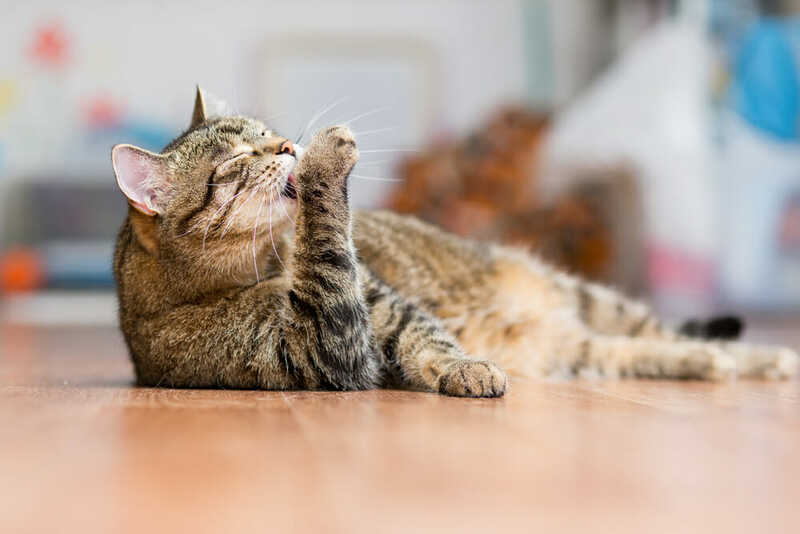 National Hairball Awareness Day may sound like a strange day to celebrate every year, but hairballs are very significant to our feline friends. It is important that we do what we can to prevent them to keep our cats happy and healthy. Think of your cats on Friday, April 26th this year.